If you have found the perfect gift that you know your colleagues, customers and staff will love, why buy just one? When it comes to buying corporate gifts, wholesale chocolate is the way to go! Because it’s not easy finding just the right corporate gift, one that checks all the boxes. Corporate gifts should be: unique and special but not too special, personal but not too personal, professional but not too stuffy. It can be complicated! You certainly don’t want to offend someone with a gift that crosses a line you might not have realized was there. We have come across what we think is the exact right fit — personalized chocolates. There are companies out there that make the process incredibly easy, like Totally Chocolate. You can customize these chocolates in so many ways! Choose from milk or dark, and with an array of different accompanying treats. But that’s not all. A message like Thank you or Congratulations! And you can customize the packaging too, attractive stock options are readily available. Once you have these personalized chocolate bars or boxes of chocolates for business gifts, you are going to want to keep some on hand for those spur-of-the-moment deals or situations where you need to say Thank You on the fly. That’s why ordering in bulk is a good idea, and you will save money with wholesale prices, and you’ll save on shipping costs, too. 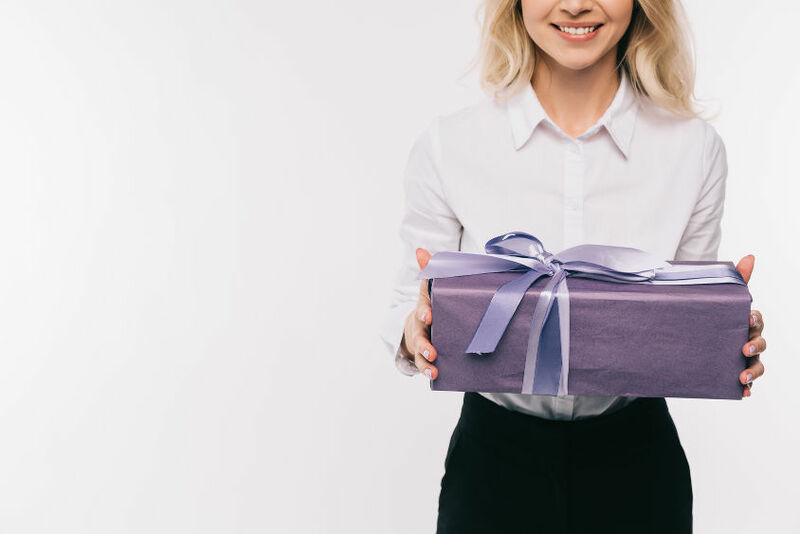 It’s really a skill to be able to find the right gift, and in the corporate world, there is so much more to consider than when you are giving your best friend a gift. You already know exactly what your best friend wants and needs. But a business associate? You need to be a little more thoughtful and careful. So that’s why when you find the right gift, you will want to hang on for dear life! Or at least order a bunch of them. The next time you are stuck for ideas for the perfect corporate business gift — remember this post! A personalized chocolate bar or tower of chocolates will impress any business client or colleague!